An illustration of these two dudes that have been on TV a lot recently. This was an illustration I had made about how both Romney and Obama support the NDAA and Kill List and that because of that they are both bad choices for America. I don’t really know how I personally stand when it comes to this, because I tend to believe that in the interest of national security maybe the government is withholding evidence. Either way though I think this turned out to be a pretty sweet illustration. 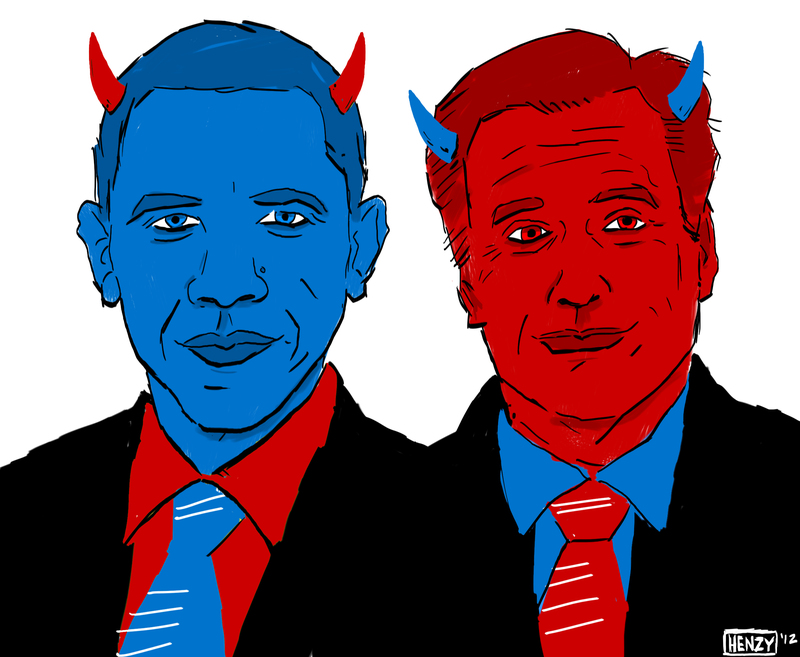 I drew Barak Obama and Mitt Romney both as devils to illustrate the topic.